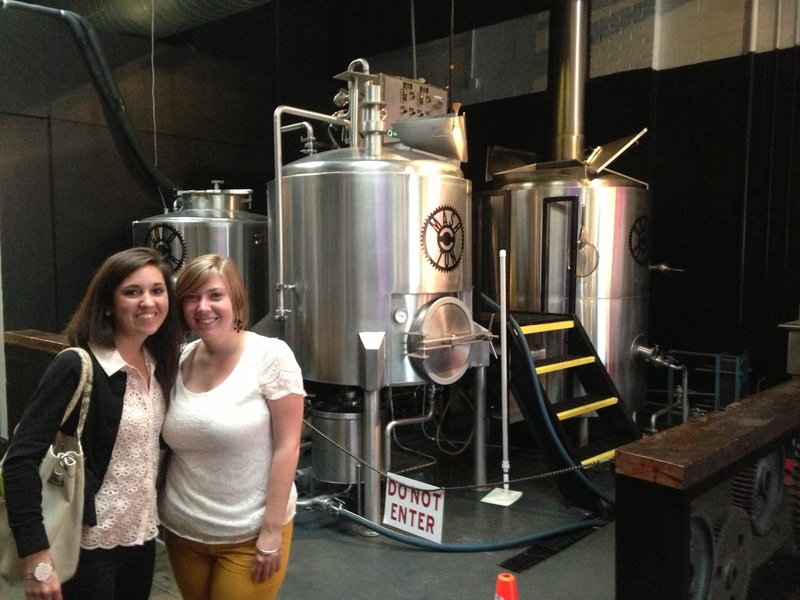 My friend Kathleen and I recently paid a visit to Crank Arm Brewing, located in the heart of downtown Raleigh&apos;s warehouse district. Crank Arm Brewing opened in late July 2013 and is a popular spot for locals and Greater Raleigh visitors. Crank Arm Brewing&apos;s mission is to provide fresh artisan beer while utilizing green transportation methods. 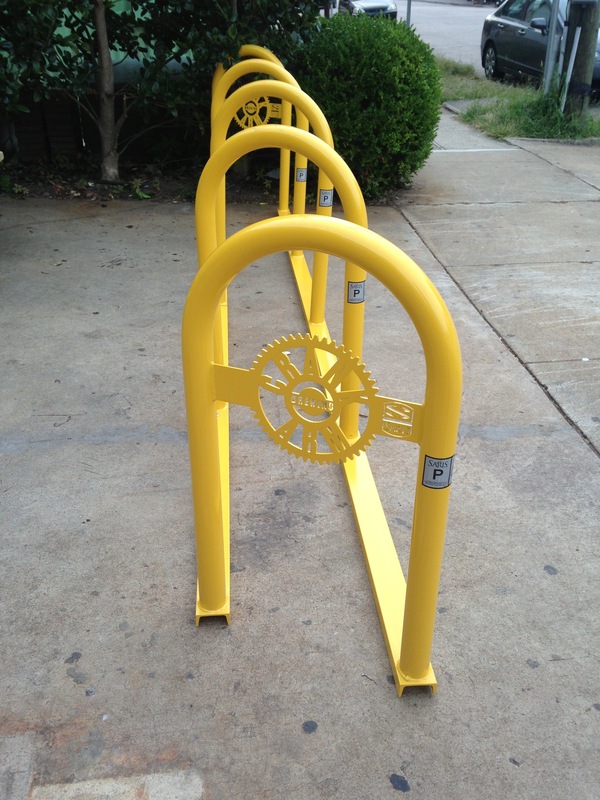 You&apos;ll notice bright yellow bike racks outside of the brewery with the Crank Arm Brewing logo. You might be wondering why Crank Arm Brewing is so dedicated to green transportation. 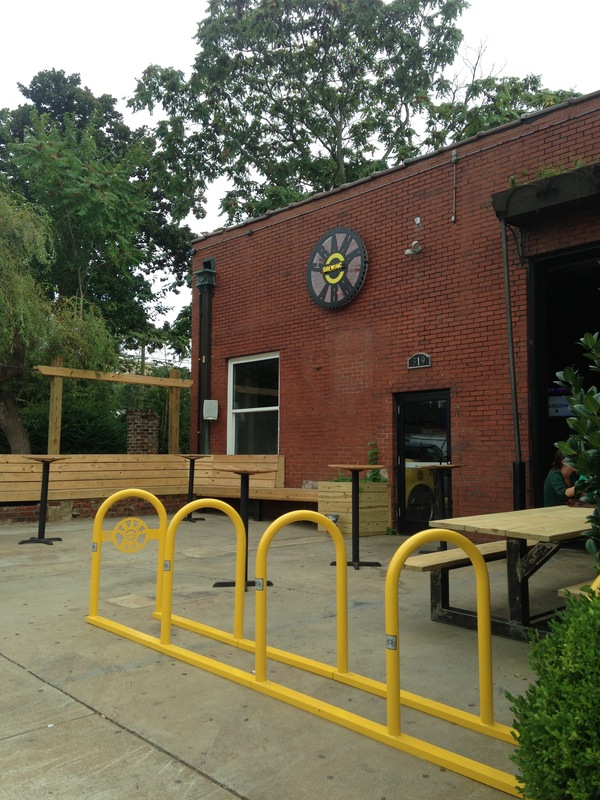 It&apos;s simple; the brewery is an extension of Raleigh&apos;s Crank Arm Rickshaw. Although the brewery doesn&apos;t have a kitchen, customers are encouraged to bring their own food or ask a rickshaw driver to pick up their food orders. Crank Arm Brewing will also be partnering with Vic&apos;s Italian Restaurant to offer pizza at the brewery. But the highlight of Crank Arm Brewing is definitely the beer. Adam Eckhardt was an avid home brewer, and opened Crank Arm Brewing with Michael Morris, a past brewer at Big Boss Brewing Company, and rickshaw driver Dylan Selinger. When I visited Crank Arm Brewing, Adam was behind the bar. He encouraged me to order "The Wheel," which includes samples of the five beers Crank Arm Brewing has on tap. I highly encourage you to visit the tasting room to enjoy beers that go along with Crank Arm Brewery&apos;s theme of green transportation. I sampled the Rickshaw Rye IPA, White Wall Wit, Unicycle Single Hop Pale Ale, Uphill Climb and Flying Scotsman Scottish Ale. My favorite was the Flying Scotsman Scottish Ale, a copper-brown ale with a touch of roasted barley and smoked malt. I also enjoyed the fruity flavors in the Uphill Climb, a Belgian Golden Ale with a medium body and smooth finish. What a fun visit to Crank Arm Brewery. 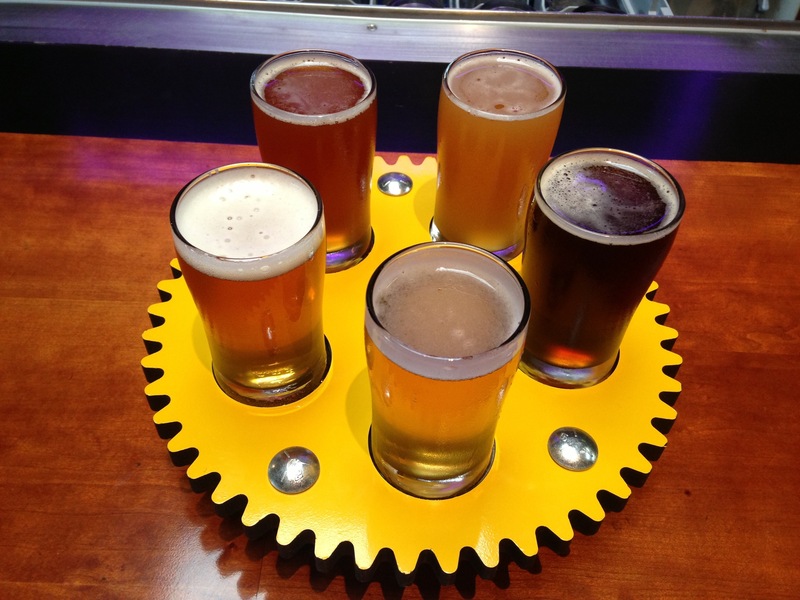 Kathleen and I will definitely be back to try Crank Arm Brewery&apos;s latest beers on tap.